A summer-time 24 oz favorite. This water bottle is BPA free.Bottle and lid are both biodegradable. 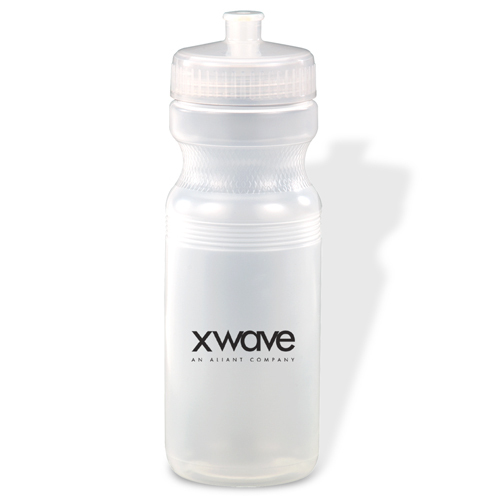 Features a push/pull cap and twist-off lid. 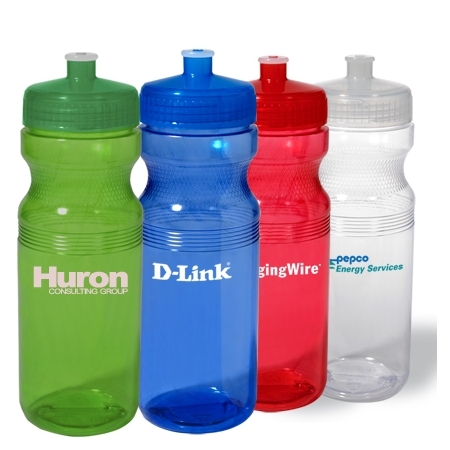 Available in Translucent Blue, Translucent Red, Translucent Green or Clear. 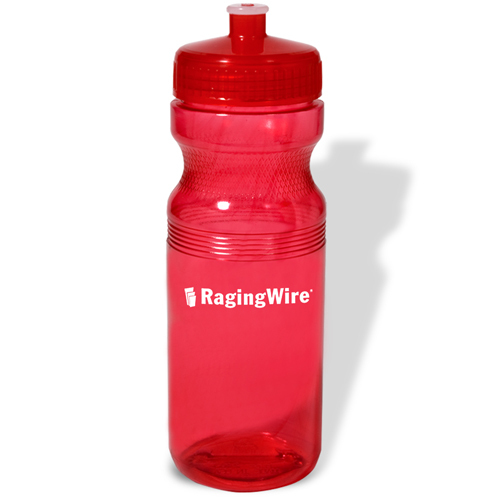 The product is also featured in the Ball-In-A-Bottle combo, out item number 1097-300654. A perfect give-away for an outdoor event. 8-5/8" Tall 2-13/16" Bottom Dia. Bulk / 17 lbs / 100 pcs. / 19.00 x 18.00 x 24.00box.